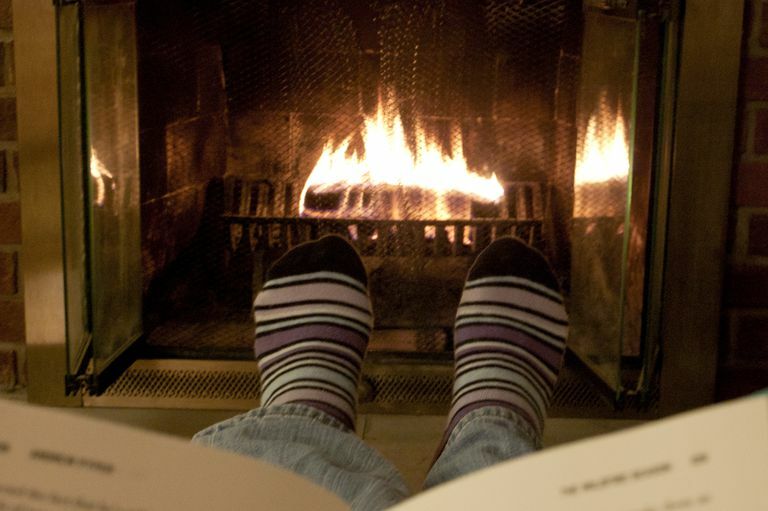 If you have MS and often feel like your feet are cold, even when they are warm to the touch, you are experiencing a symptom known as dysesthesia. Dysesthesia refers to abnormal sensations that are unpleasant, potentially painful, and occur anywhere on the body, although they are most commonly experienced in the legs and feet. While MS used to be labeled a painless neurological disease, experts now know this is far from the truth. In fact, up to half of all people with MS experience ​pain at some point in their disease course, with many developing chronic pain. There are different types of pain a person with MS may experience, like the excruciating facial pain of trigeminal neuralgia or the eye pain of optic neuritis. When it comes to cold feet, MS experts call this pain a dysesthesia. Dysesthesias can occur on their own or may be triggered by something in the outside world, often by a change in the temperature or weather. They also tend to be worse at night and intensified with exercise. You or someone else may notice that your feet are warm to the touch, despite the fact that they feel cold to you. This is because in MS, the protective coating around the nerve fibers in your brain and spinal cord (your central nervous system) are damaged. This damage leads to faulty nerve communications that can cause erroneous pain messages to be sent to your brain. In other words, your feet are actually warm, but you think they're cold because your nervous system is telling you they are. Allodynia means that a benign stimulus like a light touch or cool breeze triggers pain. Hyperalgesia refers to an increased sensitivity to pain. For instance, a pinprick on your foot, which is normally a little painful, may feel like a sharp knife. It's important to note that cold feet and other sensory symptoms are not necessarily signs that your MS is getting worse, especially if the symptoms come and go. If you experience cold feet for the first time, however, it's important to talk with your doctor because it could be a sign of an MS relapse or another medical problem altogether. While these can be the cause of cold feet, they can also compound cold feet that are due to other issues like MS. Besides the obvious, like warming your feet with blankets, there are other techniques—both medical and behavioral—that can help you manage your discomfort. Distraction is a great psychological intervention for managing pain, as it forces your brain to focus away from your pain and onto the activity at hand, especially if that activity is cognitively demanding. Complementary therapies like hypnosis, cognitive-behavioral therapy, and mindfulness meditation can be especially useful in managing your pain, as well as other symptoms of your MS like fatigue or cognitive problems. Of course, if your cold feet are significantly affecting your quality of life or impairing your functioning (for example, if you are falling or not going to work or seeing your friends and family), be sure to speak to your doctor. The tricyclic antidepressant Elavil (amitriptyline) or a serotonin-norepinephrine reuptake inhibitor such as Cymbalta (duloxetine) may help; sometimes anti-seizure medications used to treat neuropathic pain like Neurontin (gabapentin) or Lyrica (pregabalin) can also be helpful. Some of these medications, though, do have side effects like sleepiness. Topical capsaicin cream is another potential option for your feet. If your cold feet are impairing your walking and balance, you may need physical or occupational therapy. Regular visits to a podiatrist to ensure your feet appear healthy without ulcers, as well as special shoes called orthotics, may also be warranted. Seeing a therapist or psychiatrist may also be helpful as pain in multiple sclerosis can trigger or worsen depression or anxiety. Remember to discuss any medications or therapies with your doctor first. Whatever form it takes, pain in MS can be debilitating, both physically and mentally. Seek guidance from your neurologist or a pain specialist can help you find effective strategies to feel better. Jameson E, Trevena J, Swain N. Electronic gaming as pain distraction. Pain Res Manag. 2011 Jan-Feb;16(1):27-32.